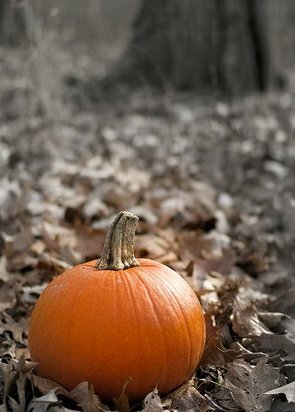 It's Halloween, the cold weather is upon us here in the DC area & I ain't got no ‘boo’ lined-up for the winter - ahhh... but what can you do about it? Not a damn thing, that's what, lol. But seriously, I really do love this time of year & girlfriend or not, fall is my very favorite season! There’s football, cooler temps, pumpkin-flavored coffee (another fav) & 3 major holidays (if you count new years) – it's great! It's also the time of year where I generally see more of my friends & family that have been estranged, so I'm looking forward to reconnecting with my peeps! I picked up jogging earlier in the year, so the next few weeks will be my 1st true experience with longer distance running during the fall/winter months, but already I’ve noticed how much easier it is to pump-out a 4-mile run with cooler weather, perhaps it’s time to raise the bar again. Oh & I think I'd like to hit a ski resort someplace up in the mountains at some point this winter, the last time I went on trip like this, I really enjoyed myself - I'll have to put a few 'feelers' out there & see who's interested in some drunken-mess fuckery in the snow, lol. I encourage you to relieve some of that stress that everyday life can bring & take-in more of the sights & sounds of fall. Thanksgiving & the holiday season will be here before we know it & I'm ready for it! I can already taste the wonderful food & hear the echoes of uncontrollable laughter now. Be sure to enjoy it all folks! As a frequent user of Apple products, I'd be a bit remiss not to post about the death of someone who many might describe as a technological visionary. 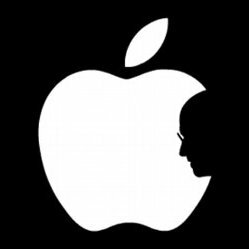 On October 5, 2011, former Apple CEO, Steve Jobs would succumb to pancreatic cancer at the relatively young age of 56... but in his passing, he left us with so much. Whether you're an Apple supporter or hater, you've got to realize the genius in the man, coupled with his unrivaled presentation skills & ability to create anticipation among loyal consumers. It's funny, I'm heading home from work on the train, composing this post from my iPad & will later use the data signal from my tethered iPhone for upload to Internet (all before I even get to my car). I never imagined we'd be using cell phones & mobile computers this way - now look at us! It's also pretty fitting that I purchased my very 1st Apple computer on the very day of his death. An obvious example of how, even in death, his ideas, concepts & standards will influence the way we operate & think for some time. Apple has made life much easier for me over the years. 1st there was my very 1st 1gb, black & white display iPod (graduation present from my aunt). By the end of that summer I'd fallen in love with idea of mp3 music file playback, pitched my CDs, & upgraded to a 30gb iPod Video. Then I figured, why not consolidate the devices I lug around & get an iPhone? I was was tired of losing oPods anyway - no brainer. Then I added an Apple TV to the mix & was introduced to the visual world of Apple. Then finally the concept of mobile tablet computing exploded with the success of Apple's iPad. So now that I finally have a Mac to tie everything together seamlessly, I'm completely in-sync! Whether I'm in the home, the car, at work, or on the go, I'm never without any of my emails/messages, tv shows/movies, music, important documents, magazines/books, social networks, photo galleries, so on, & so fourth. Apple's newest iPhone (4S) hits the streets in less than a week, but I 'think' I can hold out for the iPhone 5 (which I expect to drop in 2012) since there will be an iOS update for all devices as well in the coming days. It really just depends on how many new features software updates are unique to the new handset only & whether or not I feel I can go without 'em until the release of iPhone 5. In either instance, my next phone will most definitely be an Apple product, & thats a credit to a great company that a certain 2-time CEO left fingerprints all over. For that, I'm so very thankful Steve - scratch that... iThankful.